Winter Skin, Eco Tan’s best gradual tanner comes in a 200ml tube. Eco Tan Winter Skin – Gradual Tanning Moisturiser! Top Pick Cosmo Beauty Awards 2016, is best suited for Light to Medium skin tones. If you are medium- olive toned naturally, then we recommend you try Invisible Tan. These have to be the best DIY tanning products on the market, and what’s great is that they’re completely natural with no nasty chemicals! 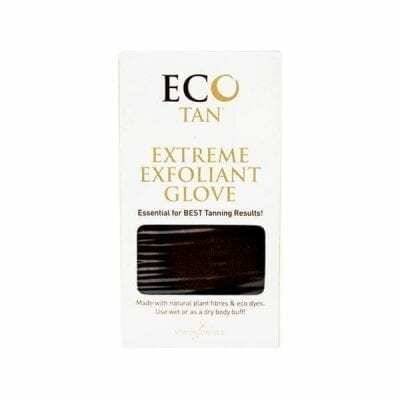 Eco Tan utilizes natural Cacao (chocolate) to give you a lovely brown toned golden glow, there’s nothing orange or streaky here! No synthetic colouring or dyes. Perfect for transforming the fairest beauty into a bronzed goddess! Winter Skin can be used daily to nourish the skin. Dries instantly and builds to a lovely honey tan after just a couple of applications. The more you apply, the darker you will go. Beautiful rose flower notes and hydrates the skin. Only natural & organic ingredients. 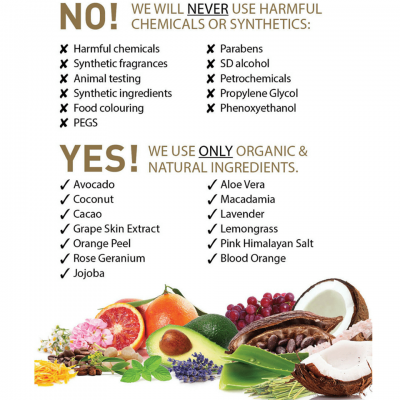 No synthetic ingredients and like all Eco Tan products Winter Skin is certified organic by the Organic Food Chain, vegan and accredited by Choose Cruelty Free. BEST GRADUAL TANNER AND BEAUTIFULLY NOURISHING MOISTURISER! Winter Skin is a nourishing, self tanning lotion and best gradual tanner perfect for face and body! With each application of our tanning moisturiser, Winter Skin, you can effortlessly build to your desired tan. It contains nothing artificial and is free from synthetic ingredients. Instead, it is made with only certified organic and natural ingredients sourced from Mother Nature. Our best sunless tanner, Winter Skin is also vegan and cruelty free. A gradual self tan, Winter Skin is your low fuss way to a stunning bronze glow in every season. Even if you have skin like Snow White, you can have a gorgeous sun kissed glow in a matter of days, without the sun’s harmful rays! Our self tanning lotion contains a gorgeous note of organic rose geranium, so you won’t smell like nasty chemical fake tans. Winter Skin has just been awarded BEST SELF TAN – BODY in 2018 Beauty Shortlist Awards and has also been awarded the Cosmo Top Pick Beauty Award 2016 and the SHOP Til You Drop Genius Award! As it is a moisturiser, it is incredibly nourishing for your skin, especially in the colder months and helps you keep your glow for longer! Apply Winter Skin evenly onto clean, dry skin. As it’s a cream apply just as you would with a moisturiser and apply enough product. Apply using your hands. Just wash your hands thoroughly afterwards. Or you can use a mitt. Use over consecutive days to build tan to desire result.